The family will receive friends 2-4 and 6-8 p.m. on Tuesday, April 2 at Shiloh Mennonite Church, 7521 Woods West Ave., London, OH 43140. Funeral services will be held at 10 a.m. Wednesday, April 3 at the Shiloh Church, with viewing one hour prior to the service. 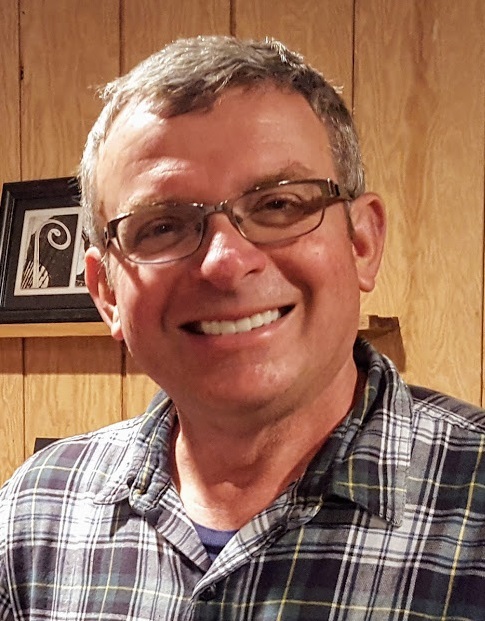 Mark A. Beachy, age 62 of Plain City, born on May 10, 1956 to Alvin and Mary (Kramer) Beachy, went home to be with the Lord on Friday, March 29, 2019. Mark’s radical love for God was the defining essence of his life. He was a devoted husband to his beloved, fiery Becky. His quirky sense of humor was passed on and most appreciated by his three sons. He always loved listening to his two daughters sing. His fifteen grandchildren were the sparkle in his eyes, and they adored him unequivocally. Mark carried the presence of Jesus. This is undoubtedly why he was beloved by so many, always a safe place for hurting and searching hearts. Mark was a leader, quiet and humble, empowering and protective. His legacy of love for Jesus and others resounds in our hearts and undoubtedly throughout the halls of heaven. Mark, well done. WELL DONE. He was preceded in death by his parents and brother, Glenn Beachy. Surviving are his wife, Becky (Yoder) Beachy, daughters Melissa (Kenny) Zook, Mifflin, PA and Maria (Lavon) Kauffman, Bellville, PA, sons Peter (Deborah) Beachy, Hans (Emily) Beachy, Jeremiah (Desiree) Beachy, all of Plain City; fifteen grandchildren; siblings Norman (Lois) Beachy, David (Rachel) Beachy, Ernest (Bertha) Beachy, Paul (Frieda) Beachy, Lloyd (Lucy) Beachy, Rosanna (Gary) Miller, Catherine (Harry) Conte, Susan Beachy, Verda (late Robert) Swartzentruber. The family will receive friends 2-4 and 6-8 p.m. on Tuesday, April 2 at Shiloh Mennonite Church, 7521 Woods West Ave., London, OH 43140. Funeral services will be held at 10 a.m. Wednesday, April 3 at the Shiloh Church, with viewing one hour prior to the service. Burial at Haven Fellowship Cemetery. Visit fergusonfuneralhomeinc.com to share a special memory. Was honored to have had the chance to know him for just the short time I did. Left a great impression on my life and modeled what the Christian life should look like. I know Jesus is saying Well Done. Dearest Becky and Family, How our hearts are grieved with yours at this parting! Yet we rejoice in his release from suffering and pain! What a welcome was awaiting him in glory for the life he lived and the example he was! I know a big void will be there in the home. May your memories be sweet, your regrets few, your friends close and many, and the wings of the everlasting Father ever-present and comforting. Our love and prayers!